Larger than the Nexus 7, it's the Nexus 10's display that's its real beauty. With this perfect tablet for watching videos, a converter is needed for your videos. 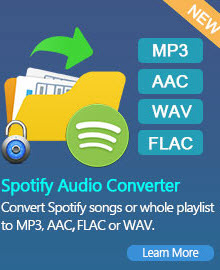 And Free Nexus 10 Video Converter is the very converter for you with smooth conversion and easy management. The sharp 2560 x 1600 resolution which is the highest resolution tablet display at the time of its release looks fantastic and packs in more pixels than even the iPad 4. It means you can revel in the desktop experience of websites with less zooming, and it makes for a great, sharp, reading device too. Or watch movies and play games - there's enough power for that too. When you want to convert a video to Google Nexus 10 , Free Nexus 10 Video Converter can do it for you. When you want to rip a dvd to Google Nexus 10, Free Nexus 10 Video Converter can do it for you. Please learn more about what Google Nexus 10 Video Converter can do for you in the below article. Google Nexus 10 is co-developed by Google and Samsung Electronics and manufactured by Samsung Electronics. Google revealed the device on October 29, 2012 to critical acclaim. Due to high demand, the device quickly sold out through the Google Play store. Since its release the device has gone through two major software updates and now runs Android 4.4 "KitKat". How to convert videos, or download Youtube videos to Google Nexus 10? Free Nexus 10 Video Converter is an all-in-one free video converter for all users on the internet. It can complete all tasks for video conversion and can also download videos from Youtube, Nico, Veoh, Facebook, MetaCafe, Vimeo, Howcast, LiveLeak, Vevo, Myvideo.de, MTV,etc. Let's learn how to convert videos and download Youtube to Nexus 10 in the following instructions. 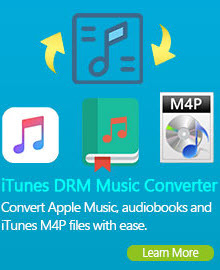 Step one: Please download and install the latest version of Free Nexus 10 Video Converter on your computer and launch it. Step two: Add videos to Free Nexus 10 Video Converter or use this program to download Youtube videos. 1) Add Videos: Add the videos you want to convert by clicking Add Video(s) or dragging to the main window. 2) Download Youtube Videos: Click Add URL(s) to paste the url of the youtube video you want to download and then click Start Download to download. Select in upper right panel Google Nexus 10 Tablet MPEG-4 Movie as the output profile. Click Convert Now and start converting. After the conversion is finished, the video for Google Nexus 10 will be found in the output folder. Just load it to your Google Nexus 10 and enjoy. Free Google Nexus 10 Video Converter can not only convert or download videos for Nexus 10, but also edit videos, such as clipping segments, cropping video size, adding watermark and so on. Free Nexus 10 Video Converter is a very convenient tool for editing videos.